Choo Choo! The little wooden train is busy making sure all the people of the village are getting to where they need to go. 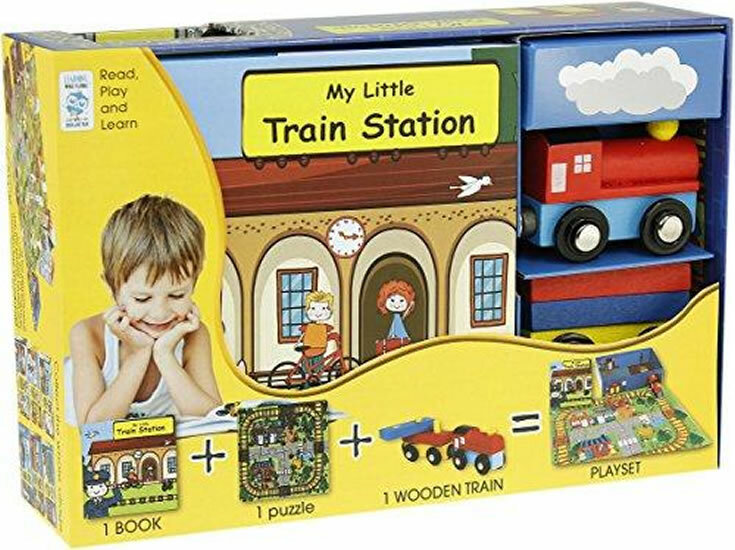 Learn more about trains in the 64page book enclosed and then turn the box itself into a small train station and busy platform.